Hollybrooke Melitta Breed Show Supreme Champion 2018. Photo by Audrey Scott-Hopkins. Breed Show Supreme Champion 2018 - Hollybrooke Melitta with owner/breeder Wendy Adams. Photo by Audrey Scott-Hopkins. 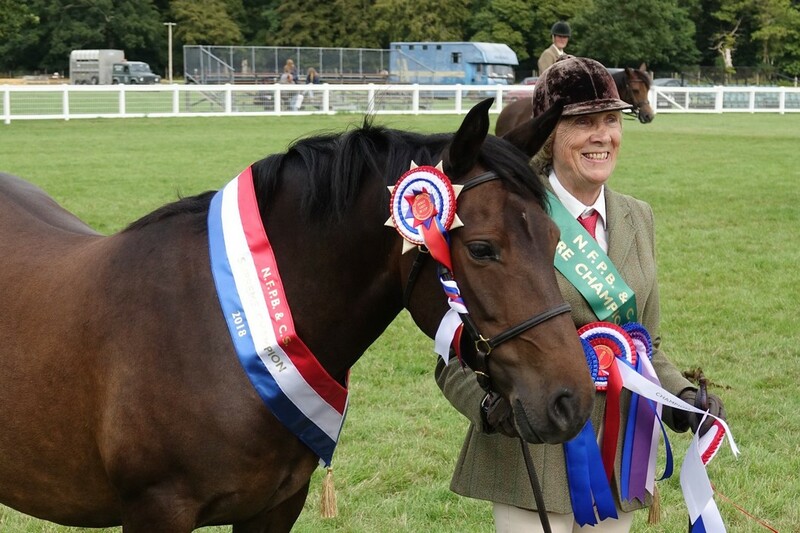 The New Forest Pony Breeding and Cattle Society holds its Breed Show annually on August Bank Holiday weekend. Formerly held over all 3 days, it is now held on Saturday (stallions and performance classes) and Monday (in hand classes). The Dolly Grey IX Supreme Championship Cup is presented to the winner of the Supreme Championship. The names on this list have been checked against the names engraved on that cup. 1989 There was no Breed Show due to Foot & Mouth disease.